Looking at mortgage options as early as possible or better still, getting a mortgage offer in principle before you start your property search will save you time when you find your ideal home. Quealy & Co Financial Services are able to offer expert mortgage advice, from a qualified advisor, who has access to the whole of the mortgage market. 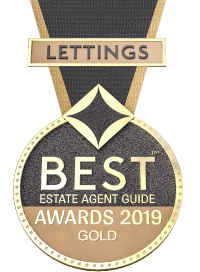 This means we can check every deal available to us in order to present you with the best solution for your needs whether you’re a first time buyer, a buy-to-let investor, moving home or simply looking to remortgage. Having been established for over 15 years, we are confident that this is the best way for us to secure the right mortgage for you, whilst providing simple and straightforward advice. In addition to mortgage services, our experienced advisor can also give recommendations for competitive protection products such as, life assurance, critical illness and income protection and buildings and contents cover. Why choose us to find the right finance option for you? And if you are buying from us, we’re all under one roof! To discuss the finance options available to you in more detail, contact Andy Myers-Rodwell on (01795) 429836.